You should now see a new option: Launch PXE OpROM policy. Enable this option. 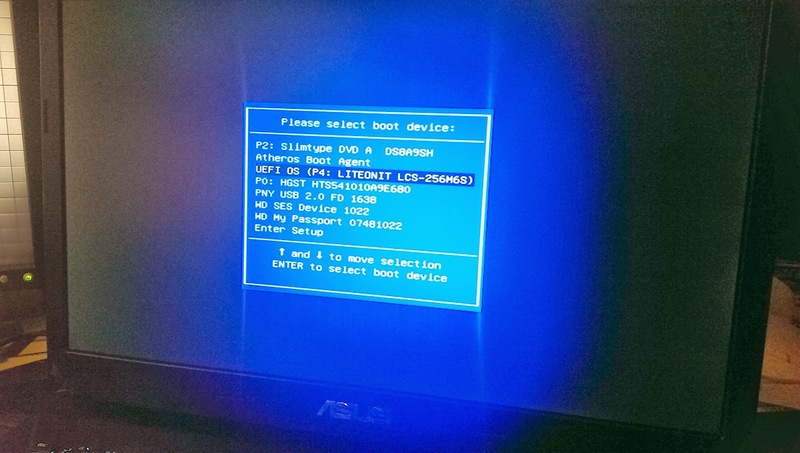 This allows your computer to boot via Legacy BIOS not UEFI. 8. Once the installation finishes you will get a message how OSX Mavericks can't set the startup disc. This is FINE! Don't worry. 18. 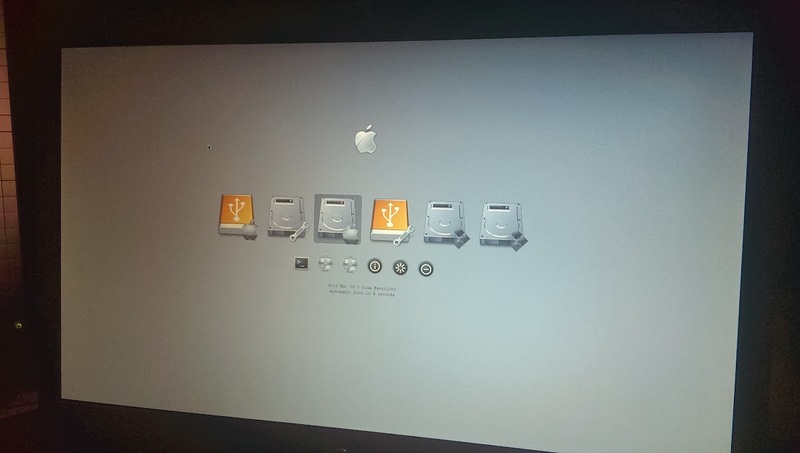 Welcome to OSX Mavericks on ASUS G750JX! Once you install the Mavericks you want to run the latest Multibeast 6.0 (see TonyMac) before the restart. The idea here is to have Chameleon and everything else installed into S/L/E, modify the SMBIOS.plist and have local hdd Extra folder. If you are going to use Clover as boot see install notes in the post later in this thread so you can take out USB stick booting completely and adjust some location of some kexts and how to use the config file I included in the files. Thanks to PeanutButterSpice and slayer2333 from TonyMac forums for trying as well on this and giving me ideas on what to do to get this working without it I would have probably not been able to look at the right place to make this work. Got audio and wifi working fine now! Adding these will enable your Wifi. The audio is working with VoodooHDA 2.84. The problem I'm having is with hardware acceleration on GTX770M.. the card it properly recognized and working just fine but when I play videos HTML5 or Flash it doesn't matter it crashes it.. I can watch videos just fine if I disable hardware acceleration in Flash but H.264 HTML5 videos will not work for some reason. And I finally solved the last issue with hardware acceleration. I changed the System Definition to Mac Pro 5.1 and now everything works great. The only last thing that remains is to get BIOS to recognize the SSD with the OSX Mavericks installation so I can boot without the USB stick boot loader. But that's really a minor issue. Amazing! This ASUS G750JX is now an OSX Mavericks BEAST! The loading without the USB stick has been resolved now. I am using Clover. I will write up the guide for this as I'm still fine tuning things. I have used RehabMan's patched kernel (here: Haswell early reboot, Mavericks, locked MSRs, and HP Envy 15-J063CL (i7-4700MQ)) and indeed things are working MUCH better. UseKernelCache is working and I have increased my boot times now to desktop in about 10 secs instead of 30+. One side effect is that I don't see USB 3.0 recognized after installing GenericXHCI kext. Looking into this. Bluetooth 4.0 is now working as well. 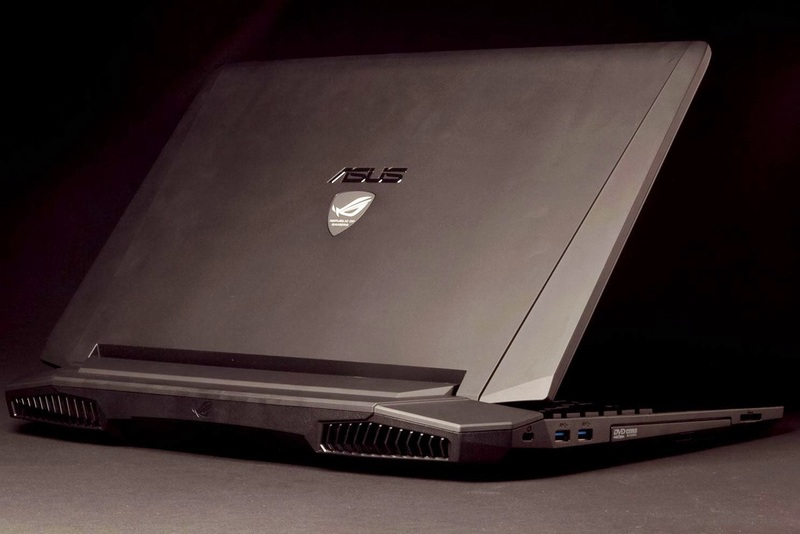 You have to enable the ASUS G750JX broadcom bluetooth IDs in BroadcomBluetoothTransport kext. We are fortunate because the Bluetooth in this laptop is BCM4352 so it's compatible fully with OSX Mavericks. 3. Touchpad works (albeit no gestures) - I tried Elan Touchpad drivers for OSX and patching that and works great and all but the gestures and touchpad is not the amazing pinnacle of technology so it works wonky, gestures don't get recognized properly and the way these guys made these gestures they are just weird so I took it off. Also I had issues with left and right touchpad buttons not working. I'm using standard VoodooPS2Controller by Rehabman for Synaptics now and it works great. No gestures but I guess it works as it should. I mean I have mouse plugged in anyhow. For those rare instances where I need to have touchpad running this is more then great. 8. Power Sleep/Shutdown/Restart works - you lose backlight on keyboard and it's a bit wonky but it works. I think it also reacts to the lid being down and turns it off but I find it to be a bit wonky overall.. Well better working than not I guess no matter how. 10. Haven't tried HDMI/displayport outputs so can't tell you if it's working or not but assuming the GTX 770M is fully recognized natively without patching anything I would say it probably works fine. 11. SSD TRIM recognized fine. That's about it though.. I think we are like 99% fully operational with some trade-offs but if you live with those (I think they are not a huge deal considering what this laptop is and how you use it). I am including in this update all my files in the first post as I have patched (kexts, smbios.plist, mach_kernel mentioned in the initial install just in case Rehabman's url goes down and Clover config file). Okay.. so with ASUS G750JX and Rehabman's kernel the GPU is running at cool 40 degrees most of the time. But I had issues with the CPU running at x32 at full 3.2Ghz non-stop as Rehabman noticed.. NOT GOOD.. So I used AppleCPUPowerManagement kext from Mountain Lion 10.8.5 and it's working like a charm now.. Powermanagement is working awesome and idling the CPU and turbo-ing when needed.. The CPU is now cool as ice at 30-40 degrees when idle and goes full turbo 3.2ghz when working. Now keep in mind that if you are not using Clover you will need to boot with USB Flash drive and then pick your OSX Mavericks install to go through Chameleon. Now where to install (you need to pick the location).. Well I have done it both ways but i will give you my take. The reason I did this is because Clover will install EFI onto this partition at the boot record level and you won't really see anything. The reason I created this partition was that if something goes wrong I could just kill the partition without affecting my Mavericks installation. The disadvantage is you lose a 1gb of space. Then INSTALL Clover with above mentioned settings to Mavericks partition and click through OKs. Now, when you have done this, you need one more thing..
4. Open it, go to CLOVER and replace the config.plist file with the ones I included in the zip file. 5. Once you have done that, go ahead and copy all kexts I included for you in the file as well into the EFI/CLOVER/kexts/10.9 folder and copy them there. These are the kexts clover will use similar to how Chameleon does it with Extras. Now you can reboot (under the condition you installed these kexts I included with Kext Wizard into your S/L/E as well) and you should see Clover boot screen that looks awesome! Now you can take out your USB stick with Unibeast and rock it from there.